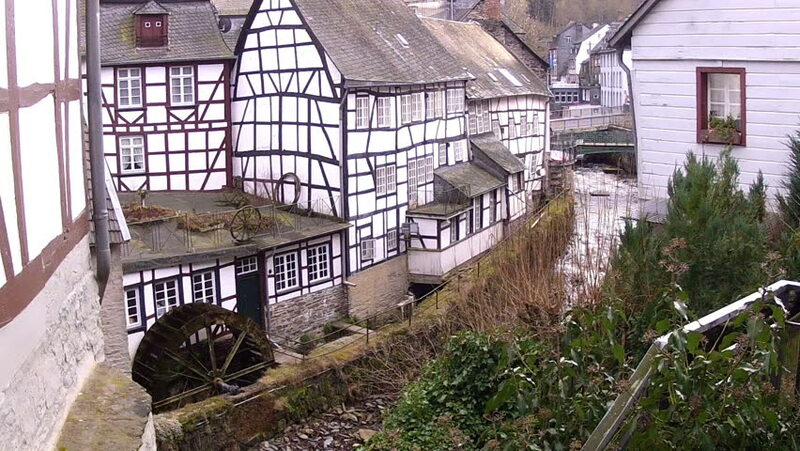 View of the small German town Monschau. Water mill. hd00:18View of the small German town Monschau. Water mill. 4k00:17Green window shutters. The facade of houses in Montenegro. hd00:06September 19, 2017, Mexico City. A building damaged after the earthquake in Mexico City. hd00:18An old abandoned house overgrown with trees and brush.